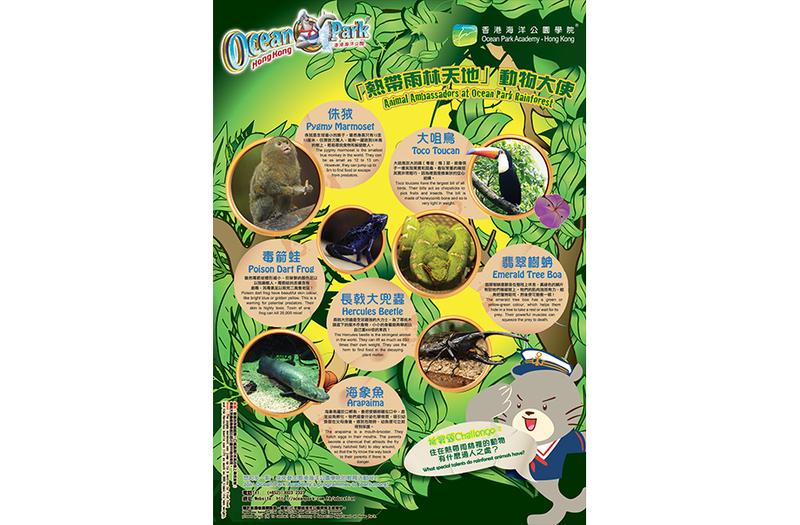 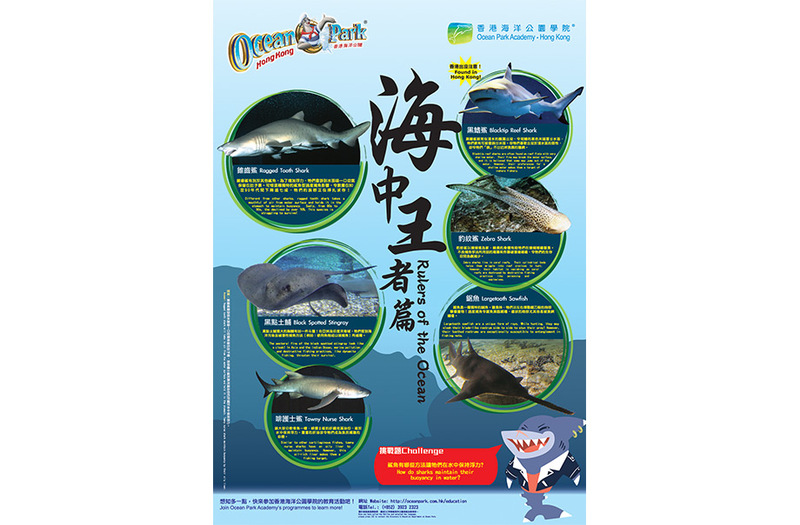 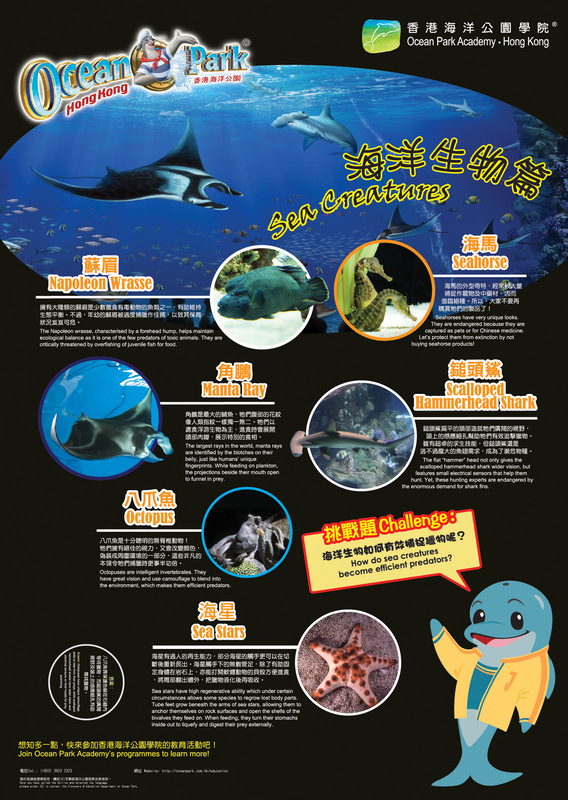 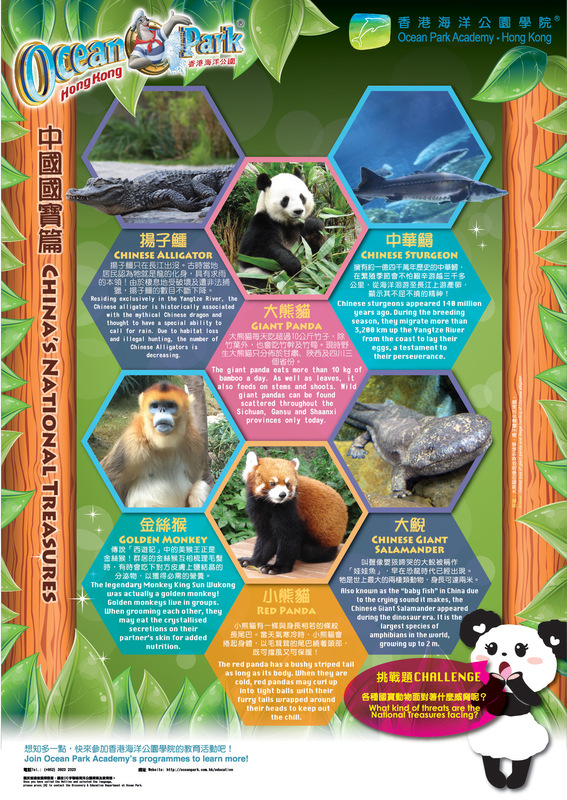 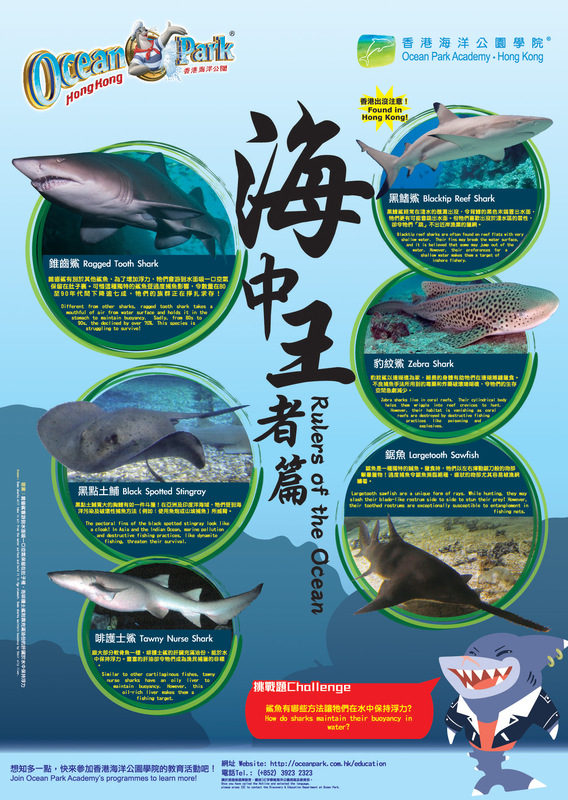 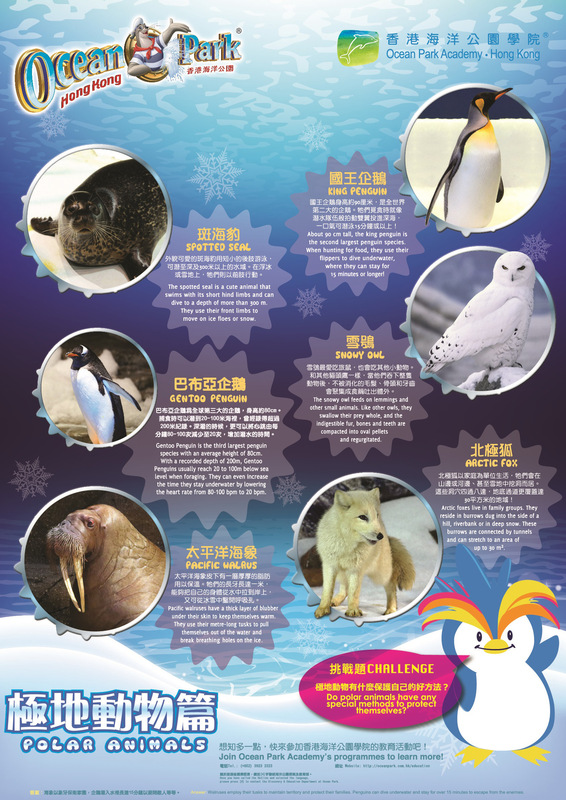 Students and teachers can learn about animals in Ocean Park through our bilingual educational posters. 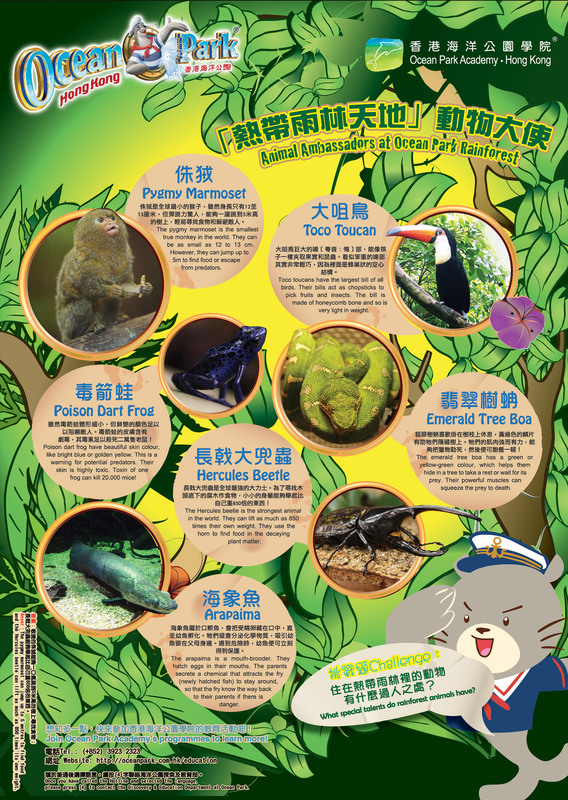 The threats that animals are facing in the wild and their unique survival skills can also be found from viewing the posters. 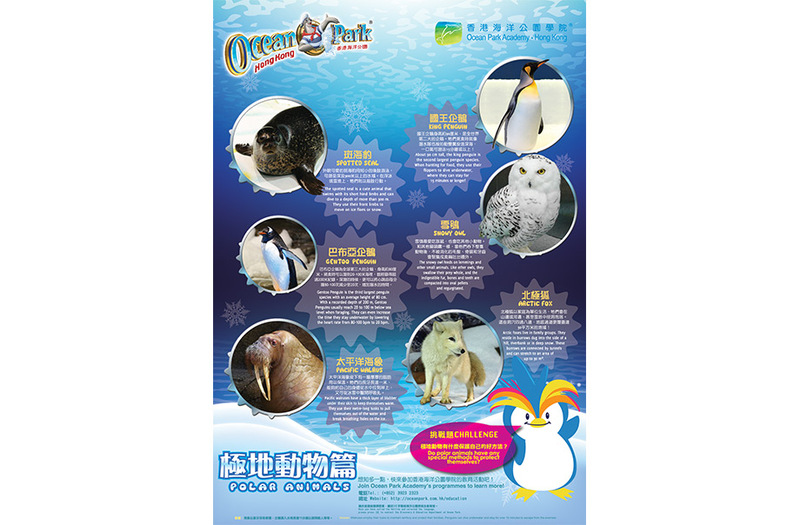 Educational posters are distributed free upon written request from schools. 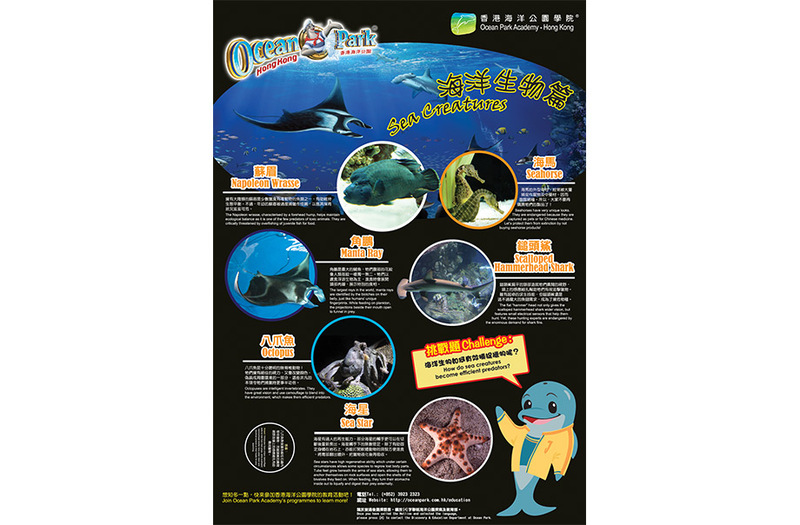 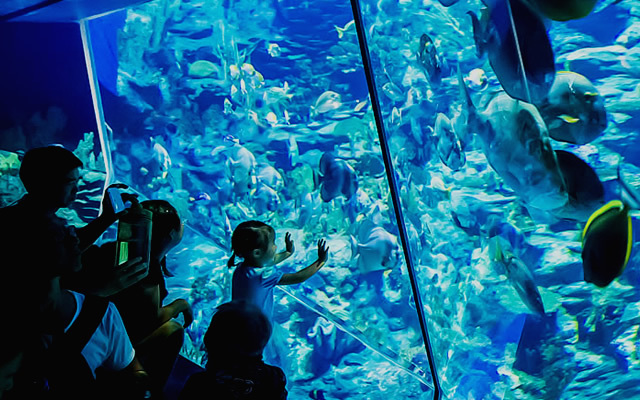 Please send your request to "Ocean Park Academy Hong Kong, 180 Wong Chuk Hang Road, Aberdeen, Hong Kong", state the name(s) of the poster(s) you would like on the cover and enclose a self-addressed envelope (A4) with HK$13.7 worth of stamps.